Green shoots? Anyone see the green shoots of a springtime recovery in lithium stocks? No, me neither . . . 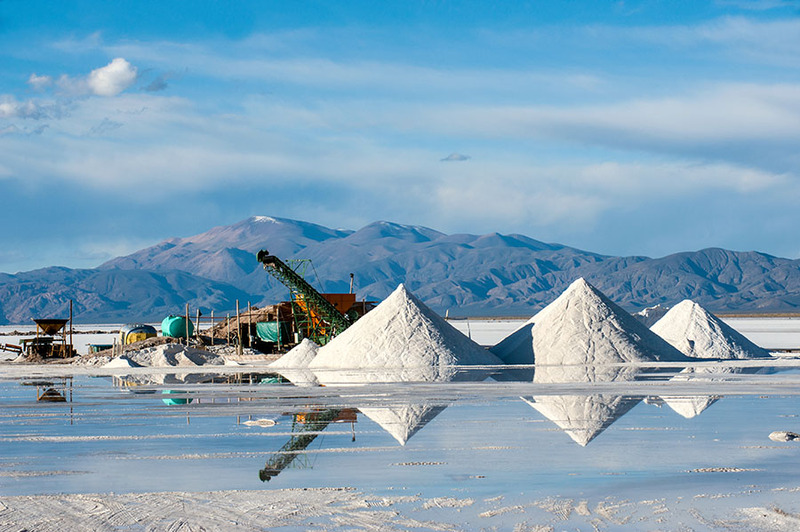 However, I do note one positive development, Lithium Americas Corp. (LAC:TSX; LAC:NYSE) is receiving US$160M for 12.5% of its joint venture (JV) brine project in Argentina. 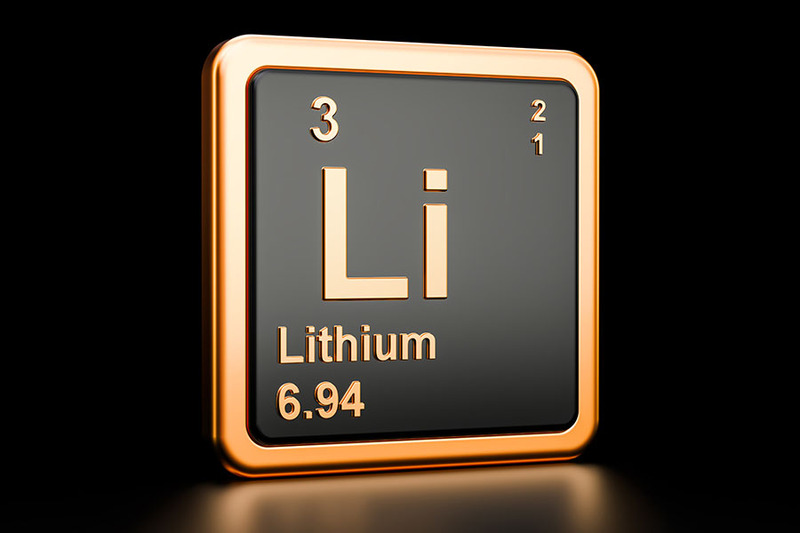 That implies a CA$1.7 billion valuation for the entire project, of which Lithium Americas will own half. 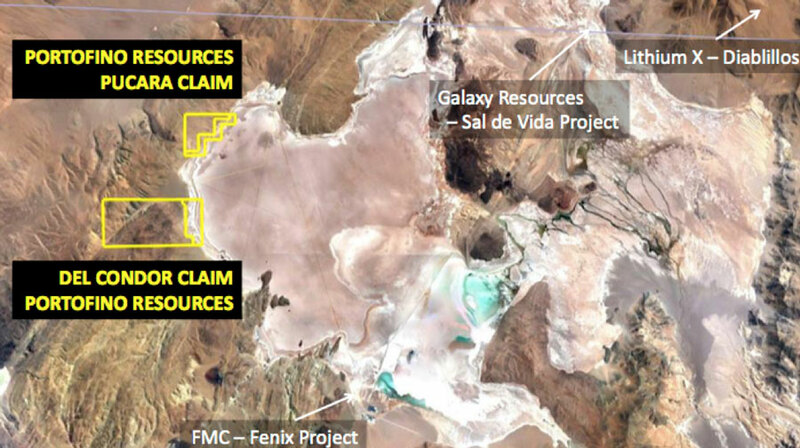 This is the best news since POSCO paid US$280M to Galaxy Resources Ltd. (GXY:ASX; GALXF:OTCMKTS) for 17,500 hectares (17,500 ha) in Catamarca Province, Argentina. They paid US$16,000/ha for a reported 2.54 million tonnes of high-grade resources. Peter Epstein: Please give readers the latest snapshot of Portofino Resources. David Tafel: Sure. 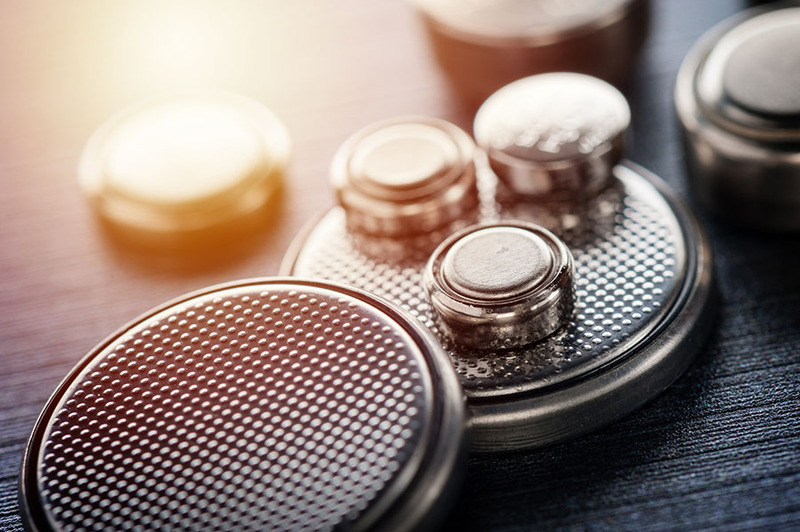 Portofino Resources holds an interest in three lithium property groups in Argentina representing over 8,600 hectares. Our projects are located within the world-renowned "Lithium Triangle," specifically focused in Catamarca Province, which was ranked by the Fraser Institute Annual Survey of Mining Companies 2018 as the best mining province in Argentina. The Hombre Muerto West project is our most advanced and is within Argentina's most prolific producing lithium brine salar. Portofino's close neighbors in the Hombre del Muerto salar include majors�Livent Corp. (LTHM:NYSE) (formerly FMC Lithium) and POSCO, and Australian-listed Galaxy Resources. All of our projects have been negotiated on the basis of four-year earn-in agreements with very low upfront costs. Between now and the end of next year, our total cash outlay is ~US$50,000 (US$50K), for all three projects, and that's not until 2020. I should add, we have no work commitments or royalties on any of our projects. PE: Very few lithium stocks are doing well lately, or over the past year for that matter. What's your view of the sector? PE: Tell us more about the Hombre Muerto West project. How many drill holes are planned? DT: We have a team on site that should complete a geophysical survey by the end of April. 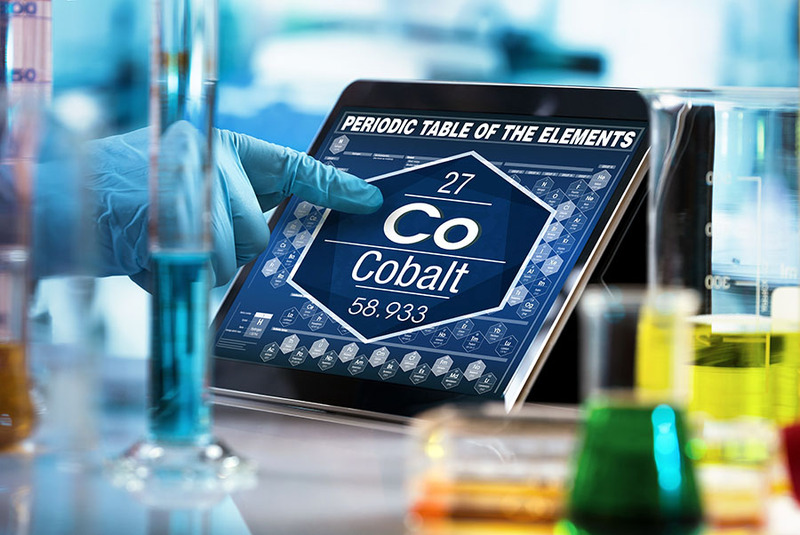 This is a follow-up on encouraging lithium results achieved during last year's surface sampling. The present program will help define the extent of brine in the sub-surface, which will be used to define targets for initial drilling. We expect to generate at least two or three drill targets from the geophysics. Drilling should commence following interpretation of the survey results. PE: What grades and intercept widths would your team consider to be a success? DT: Depending upon geophysical results, we will likely drill to an initial depth of 150 meters (150m) and hope for grades exceeding 400-500 ml/L lithium over 75-100m. PE: What excites you most about Hombre Muerto West? DT: Our Hombre Muerto West project is located within the best known and top-producing lithium brine salar in Argentina. Galaxy Resources recently sold a portion of their holdings in the salar to POSCO for US$280 million�US$16,000 per hectare! In 2018, our geological team sampled 18 sites in a near-surface auger program. Six samples were over 700 mg/L lithium and the highest sample returned 1,031 mg/L lithium plus 9,511 mg/L potassium. 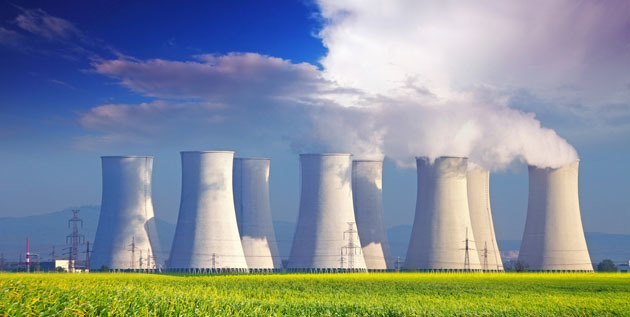 The samples also contained low impurity levels, including low magnesium. PE: Please tell us more about your second project, named Project II. DT: Portofino can acquire 85% of Project II, which is 3,950 hectares in size, located approximately 10 kilometers (10 km) from the Chile border, and 65 km northeast of Neo Lithium Corp.'s well-known 3Q project. Historical exploration work included near-surface auger brine samples that averaged 274 mg/L lithium, with several in excess of 300 mg/L lithium. PE: What excites you most about Project II? DT: Project II captures the whole salar, has relatively easy access, and has returned consistent surface/near-surface sampling results over a wide area. In addition, the Maricunga (BFS completed) lithium project is located just across the Chile border. 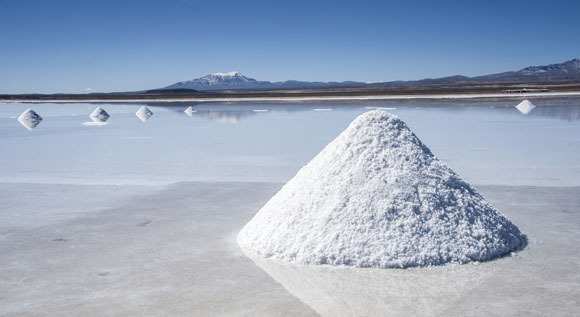 Maricunga is billed as the highest grade, undeveloped lithium salar project in the Americas. PE: Are you in discussions with any potential strategic partners? DT: Yes, we are having preliminary discussions, off and on, with multiple interested parties. We would like to bring in a partner on one or more of our projects. However, there is no certainty that any agreements will be reached. PE: Please tell us more about your third project, Yergo. DT: Portofino has the right to acquire a 100% interest in the 2,932-hectare Yergo lithium brine project. The property covers the entire Aparejos salar. Yergo is located approximately 15 km southeast of Neo Lithium Corp.'s 3Q project. We completed an initial field exploration and sampling program consisting of surface and near-surface brine sampling and geological mapping. A total of 25 locations across the property were sampled. Samples have been shipped to a certified lab in Argentina. Results will be announced as soon as received. PE: You said that Yergo is ~15 km from Neo Lithium's project. Neo just released a very favorable preliminary feasibility study (PFS). Does Yergo have anything in common with the 3Q? DT: Neo Lithium's deposit is very high grade with very low impurities. Our geological team just completed an initial sampling and mapping exploration program. We believe there are common characteristics. Once we have had a chance to review the results, we will be in a better position to comment further on commonalities. PE: What excites you most about the Yergo project? DT: As mentioned, Yergo is close to Neo Lithium's PFS-stage 3Q project, yet as far as we are aware, it had remained completely unexplored. Our geologists were quite upbeat after their visit and we are anxious to see the lab results of our initial sampling program. PE: Your three projects might be promising, but at 1,804 ha, 3,950 ha and 2,932 ha, are they large enough to host sizable resources? DT: Our Hombre Muerto West property is relatively small�about 1,800 hectares�but could still host a sizable resource subject to ultimate grade/basin determination. However, it would make sense to consolidate our project with another in the same salar. Our other two projects are big enough, and in each case we control the entire salar. The advanced-stage, well-regarded Maricunga project in Chile is approx. 4,000 hectares�so comparable from that perspective to both Yergo and Project II. PE: Why should readers consider buying shares of Portofino Resources? DT: Lithium stocks are out of favor, but select stocks have moved off their lows. 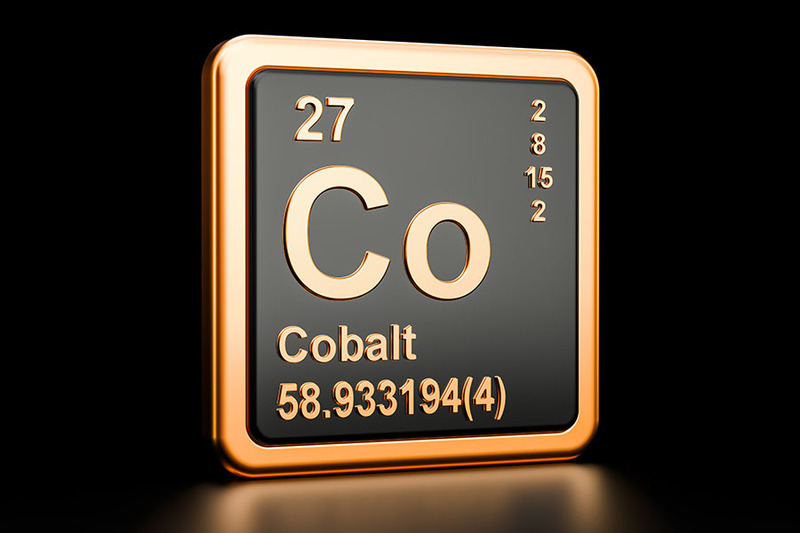 We have just 24 million shares outstanding and a modest market value of ~CA$2 million. 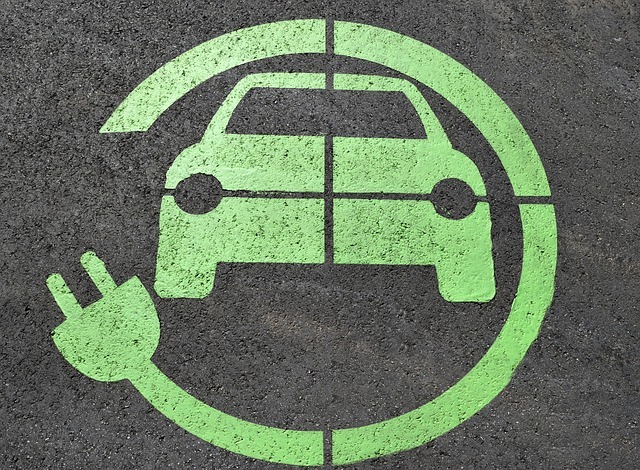 Our three projects are located in close proximity to advanced-stage and producing lithium companies. Near-surface sampling at Hombre Muerto West returned some very positive results. Depending on the weather, we hope to start drilling in coming months. We have two exploration programs underway, the other being Yergo, so readers can expect news on both projects. We believe there's significant upside potential in the share price. Disclosures: The content of this article is for information only. Readers fully understand and agree that nothing contained herein, written by Peter Epstein of Epstein Research [ER], (together, [ER]) about Portofino Resources, including but not limited to, commentary, opinions, views, assumptions, reported facts, calculations, etc. is not to be considered implicit or explicit investment advice. Nothing contained herein is a recommendation or solicitation to buy or sell any security. [ER] is not responsible under any circumstances for investment actions taken by the reader. [ER] has never been, and is not currently, a registered or licensed financial advisor or broker/dealer, investment advisor, stockbroker, trader, money manager, compliance or legal officer, and does not perform market making activities. [ER] is not directly employed by any company, group, organization, party or person. The shares of Portofino Resources are highly speculative, not suitable for all investors. Readers understand and agree that investments in small cap stocks can result in a 100% loss of invested funds. It is assumed and agreed upon by readers that they will consult with their own licensed or registered financial advisors before making any investment decisions. At the time this article was posted, Peter Epstein owned shares of Portofino Resources and Portofino was an advertiser on [ER]. Readers understand and agree that they must conduct their own due diligence above and beyond reading this article. While the author believes he's diligent in screening out companies that, for any reasons whatsoever, are unattractive investment opportunities, he cannot guarantee that his efforts will (or have been) successful. [ER] is not responsible for any perceived, or actual, errors including, but not limited to, commentary, opinions, views, assumptions, reported facts & financial calculations, or for the completeness of this article or future content. [ER] is not expected or required to subsequently follow or cover events & news, or write about any particular company or topic. [ER] is not an expert in any company, industry sector or investment topic.